for $310,000 with 3 bedrooms and 2 full baths. This 1,212 square foot home was built in 1975 on a lot size of 8400. 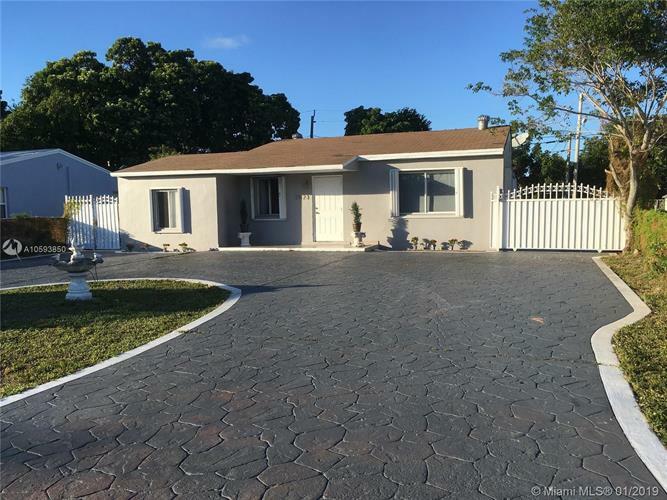 Single Family Pool House, with 3 bedrooms, 2 full bathrooms and small office, complete pave circular driveway, Park up to three cars or a boat inside the Gate, accordion Hurricane shuttlers, central A/C, eat in kitchen. Patio with huge potential, Flat roof area for an extra dining area, excersise, Laundry, and small additional concrete structure of 104 sf used as storage. Is conveniently located for your commute close to 1-95 and 595, two miles to down town hollywood and 5 minutes to Fort Lauderdale Airport.